They are the brand synonymous with bananas. Yeah, you may have guessed it. 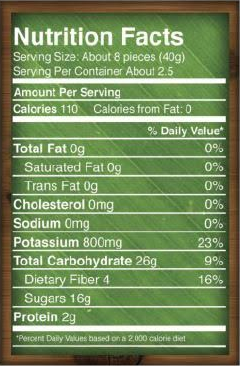 But why "Barnana®"? Great question! That's because they believe that the banana is mother nature's original energy bar. They've made 'em even more convenient and flavourful. They are on a mission to end food waste on organic banana farms by up-cycling the bananas that used to go to waste. When "imperfect" bananas have scuffs, are a little too ripe, or aren’t the perfect size - they are typically rejected for export. 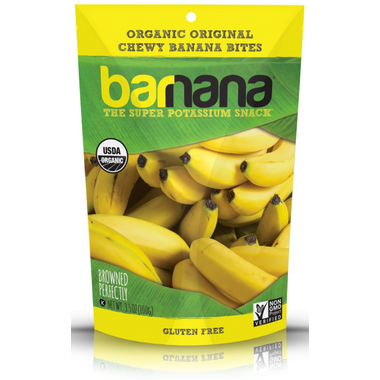 Barnana takes these delicious bananas and turns them into snacks. Pretty cool, huh? Packed full of potassium! Whether you're about to go for a run, got done lifting weights or you just need a healthy snack for your daily adventure - they got you. I enjoy these! I loved the apple cinnamon but these are good too. they are okay, I like the chocolate covered ones more. This is a really nice snack ! Tastes like chewy dried banana bread ! I will be repurchasing this . So good ! Makes a great, lightly sweet snack. Tastes exactly like you would expect (a banana) but more chewy.